Inca Religion Activity - HISTORY'S HISTORIESYou are history. We are the future. The Inca were famous for their textiles. Even today, high in the Andes Mountains, weavers still use the old patterns created many thousands of years ago. 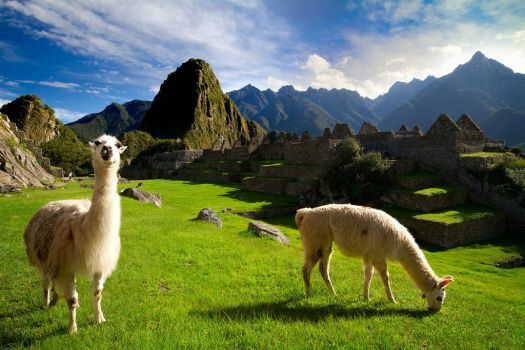 The Inca made textiles from the wool of llamas and alpacas and vicuna. They dyed the wool red, white, black, and gold. They used other colors, but those were the colors used most consistently. Designs were not always pictorial. Most often, their designs were geometric - bright, striking, and quite fun. Look closely at the patterns on the textiles above. What story do you think the weavers were trying to tell? 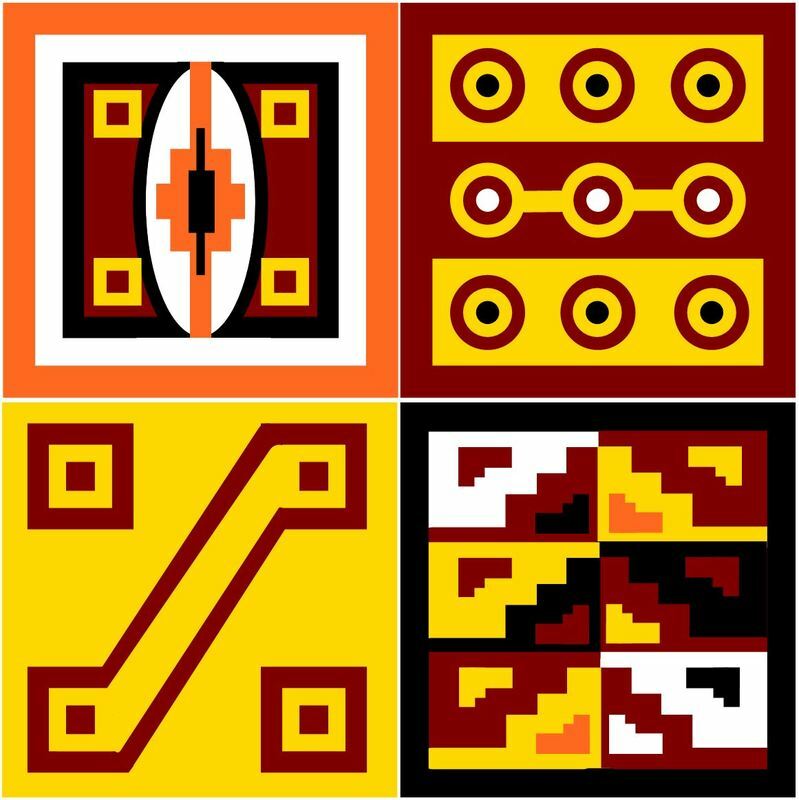 Anthropologists have guessed that these designs had meaning to the Inca, possibly religious meaning, or perhaps they referenced legends, myths, and tall tales. Maybe some were simple landscapes, pictures of places they felt connected to. If their textiles did have meaning, the knowledge of how to read those meanings has been lost. Today, you are going to give meaning back to the wonderful designs created by the Incas. ​To get started, you may want to review the section on textiles from your Inca Daily Life lesson. Of course you are also welcome to search for inspiration by looking for images of Inca textiles online. Steps to Success: You goal with this activity is to use Inca textile design to tell a story. You are welcome to use textile design to illustrate the heroic tale you created for your "Early Settlers" activity. You may also go back to your lesson on Inca Geography and review the Inca origin myth about Manco Capac and the founding of Cuzco. For your consideration, three more Inca stories are included below. However, you are welcome to make up a brand new story and illustrate it using Inca textile design. Choose a story to illustrate. Review samples of Inca textile design. Use as many pages as you need to illustrate your story. Prepare to present your story to the class, connecting your design to key points in your story. Here are some samples I put together so that you can see the designs in a bit more detail. Since the Inca never invented a form of writing, their oral history is one clue historians use to learn about their civilization. So far, you have learned an Inca origin myth and created your own tall tale. Here are just a few more stories. The first is a story about llamas. The Inca had no wheeled vehicles, horses, or cows. The llama was a most important animal. The llama provided the Inca with wool and food and was used for transportation. At one time, people became very evil. They were so busy doing evil deeds that they neglected the gods. Only those in the high Andes Mountains were honest and true. Two brothers who lived in the high Andes Mountains noticed that their llamas were acting strangely. They asked the llamas why they were staring up at the sky. The llamas answered that the stars told them that a great flood was coming. The brothers believed the llamas. They moved their families and flocks into a cave they found on the highest mountain. It began to rain. The rain continued for four months and four days. At last the rain stopped. The water receded. The brothers and their families repopulated the earth. The llamas were most grateful to the stars for warning them about the flood. That is why llamas prefer to live on the mountaintops, safe from floods, and near their friends, the stars. Where it all began - Island of the Sun, Lake Titicaca. For the Inca, the world was created at Lake Titicaca. Long before the Inca, people living in the Andes considered Lake Titicaca a sacred place. Because it was considered sacred, Inca rulers regularly journeyed to the lake. One day, Viracocha, the creator god, was lounging on the sacred Island of the Sun on Lake Titicaca. Because he could, he made a race of giants - enormous beings. Viracocha soon found, however, that these giants were too large for his purposes. Aiming for something better suited to his needs, Viracocha tried again. This time, he made creatures on a much smaller scale. He called the creatures "humans." Viracocha was still trying to get the hang of creating things because this first race of humans he just found annoying. Human greed and arrogance so upset Viracocha that he turned some of them to stone and others into the earth and natural features as punishment. Then, he sent a great flood to wipe the earth clean, saving only three humans so that they might start the race all over again. Also at Lake Titicaca, Viracocha made the Sun, the Moon and all the stars. In order to see how his creations were working out - especially those pesky, troublesome humans - Viracocha set off away from Lake Titicaca. He traveled all around his creation disguised as a beggar and known as Kon-Tiki, among many other names. He made carvings at Tiwanaku, established Cuzco by directing the Inca founding couple Manco Capac and Mama Ocllo there, and generally taught people how to be "civilized" - how to appreciate nature and one another. After much traveling and teaching, Viracocha walked across the desert and arrived at the coast. Mysteriously, he simply continued walking west, right across the water toward the setting sun. No one knows if or when he will return, but across the Inca empire - from the peaks of the Andes Mountains to the waves of the Pacific Ocean - every direction you look, you can see Viracocha's hand in the creation of the land of the Inca.